Brynlee is a Standard size Goldendoodle. She is our smallest Standard, weighing in at only 50 pounds. 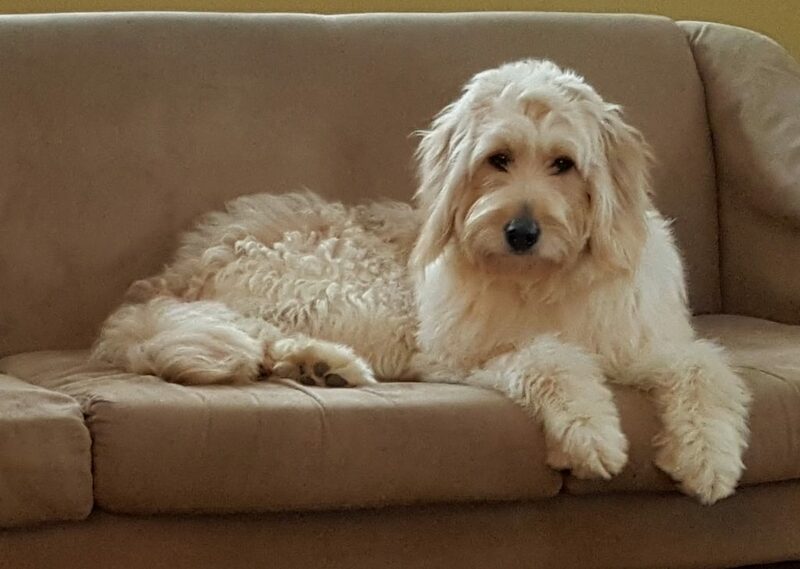 You will not believe how calm and pleasant this dreamy Goldendoodle girl is! Her coat is amazingly soft, with shaggy loose wave and red highlights. Brynlee is an absolute charmer! You will want to take her home–but we’ll let you take one of her pups, instead! Brynlee is joining our Breeding Program in 2018. She carries for red, cream, caramel and Parti!! We cannot wait to bring her puppies into the homes of our treasured clients! 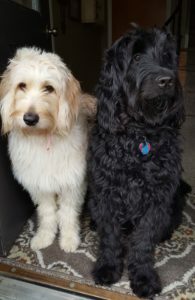 Brynlee and Zoe are both lovely Standard Goldendoodle girls for both our Standard and our Medium lines. 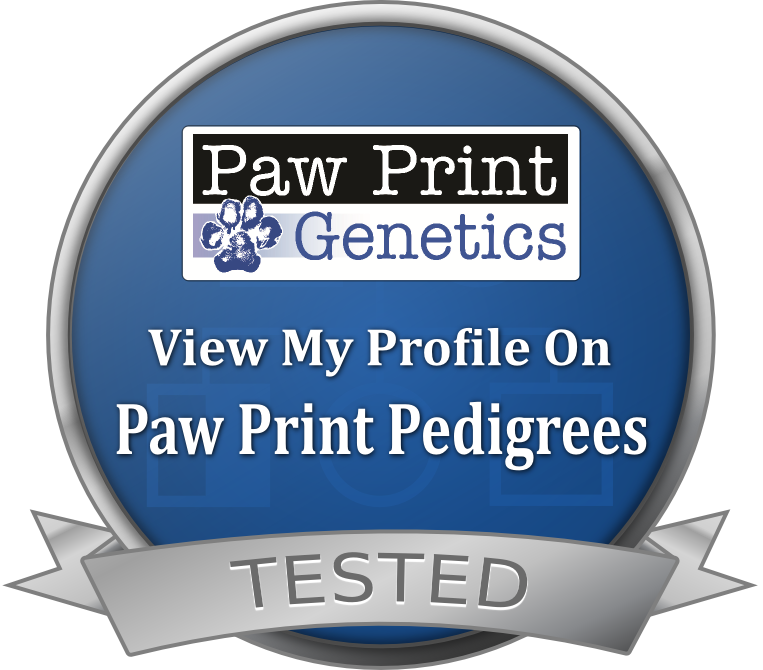 Their shaggy coats pair well with our multigen Labradoodle sires to create handsome wavy fleece; and, they also pair well with our curlier Goldendoodle sires for wavy-to-curly variety in our litters.